Those of you who know me know that I love anything old-fashioned/vintage/antique. I also happen to love thrifting and crafting, so why not combine them all? Yesterday I made a trip to my local thrift store and picked out a few porcelain plates, took ’em home, and just went at it. This is a very easy (and cheap!) project for anyone looking to add some flare to their cake presentation or just their home kitchen in general. But before we start, some tips on choosing your items wisely: for the base of the stand, I picked out some short candle holders. 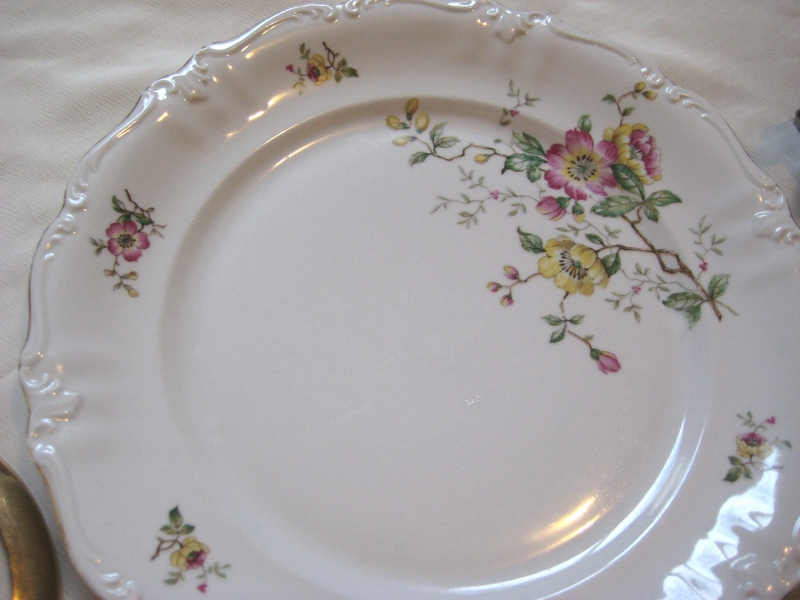 Make sure that it is sturdy enough to support both the plate and a cake; it is best to use something that is wide at one end and tapers toward the other. 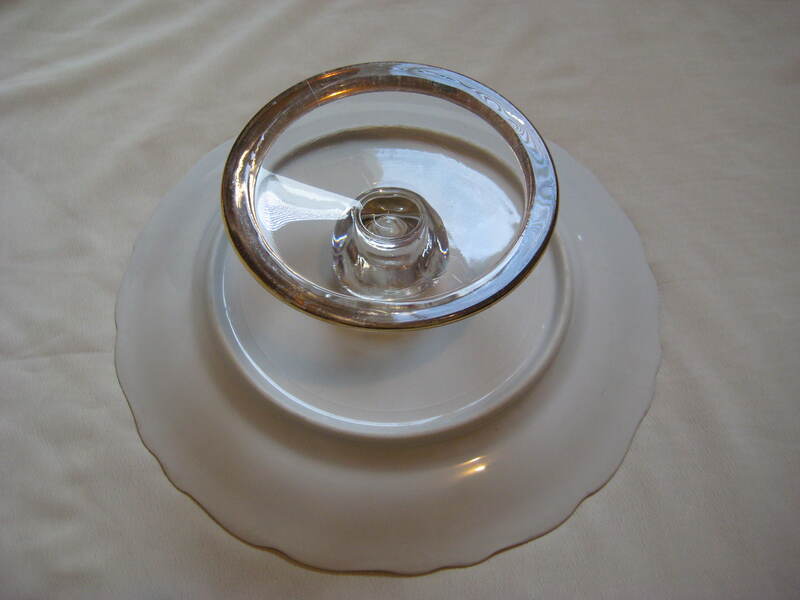 I’ve seen people use shot glasses, even old-fashioned ice cream sundae glasses for this! There are so many options for this, so let your imagination run wild. Many of these things can be easily found at the dollar store as well. 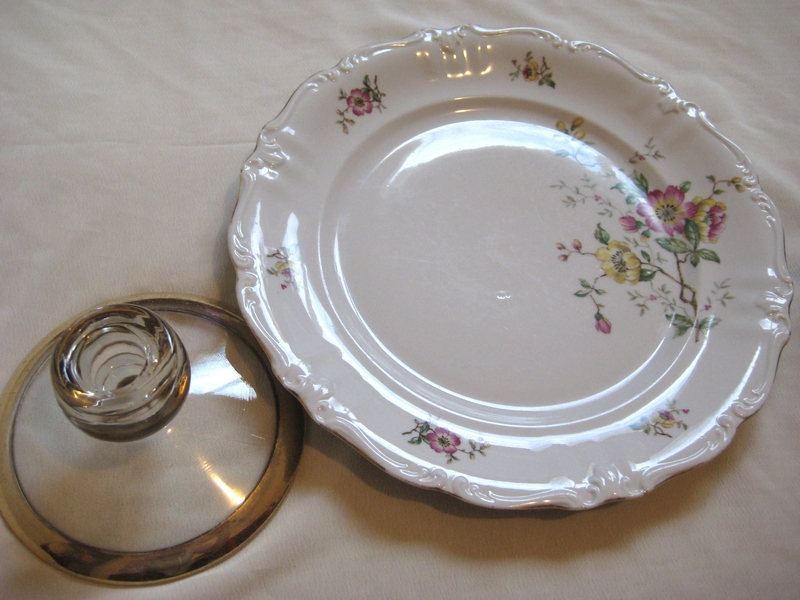 This time I chose a base with a gold trim because my plate also has a gold trim to match. Step 1: Wash yer dishes! 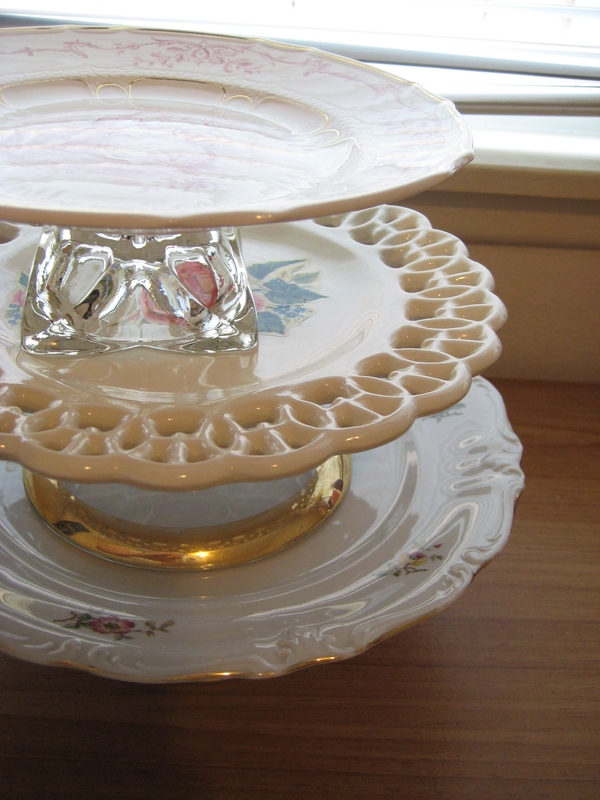 Make sure that both the base and the plate are free of any dust particles, grime, etc. The glue will stick better to a clean surface. I used a soft sponge and some mild soap to clean between all the groves along the frame of the plate. 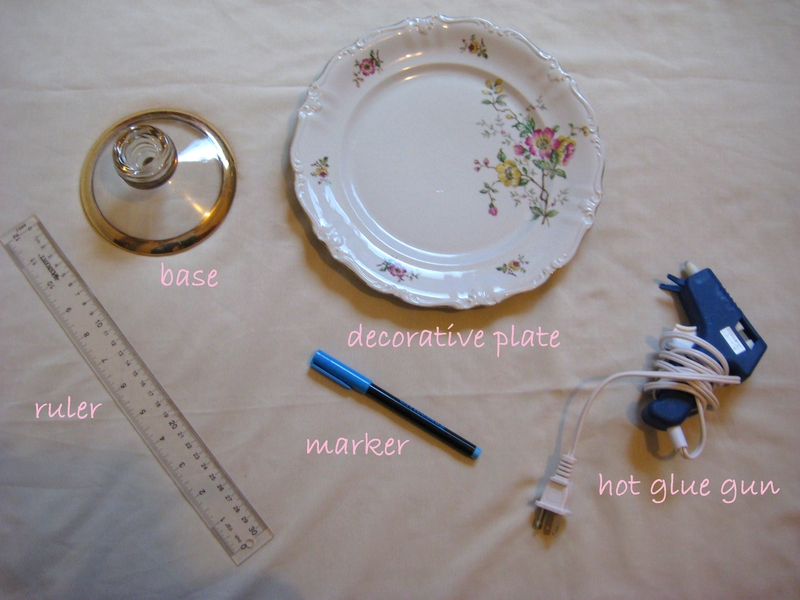 Step 2: Measure your base and your plate. Find the widest part of the top of your base, and measure its diameter. 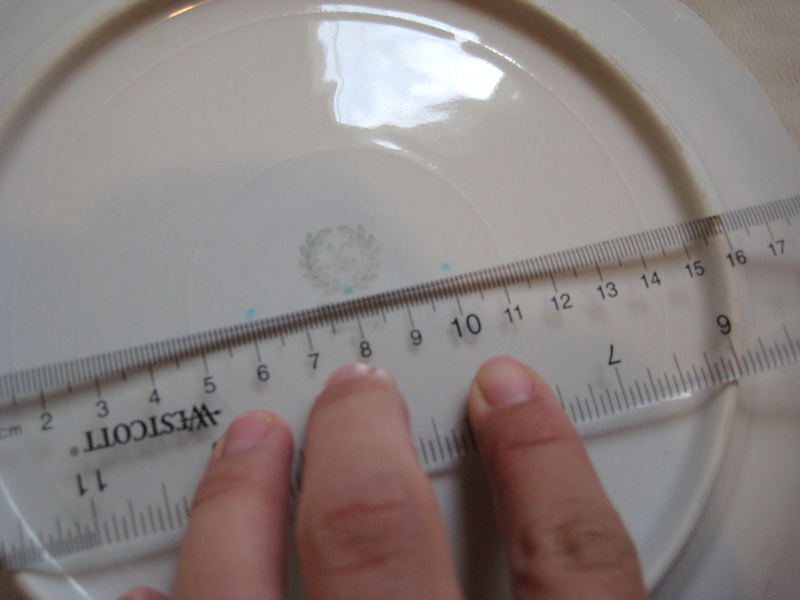 Then measure the widest part of the bottom of your plate, and measure its diameter. Step 3: Mark your measurements. Since my base measured 4cm and my plate measured 16cm, I marked the plate right at the center (8cm) and marked 2cms on each side of it. This is where you will place your base. Step 4: Align your base with your plate. Make sure that your base lines up with all your markings, and check to see that it is centered. Step 5: Glue around the rim of the top of your base. Place a small ring of hot glue onto the rim of your base. 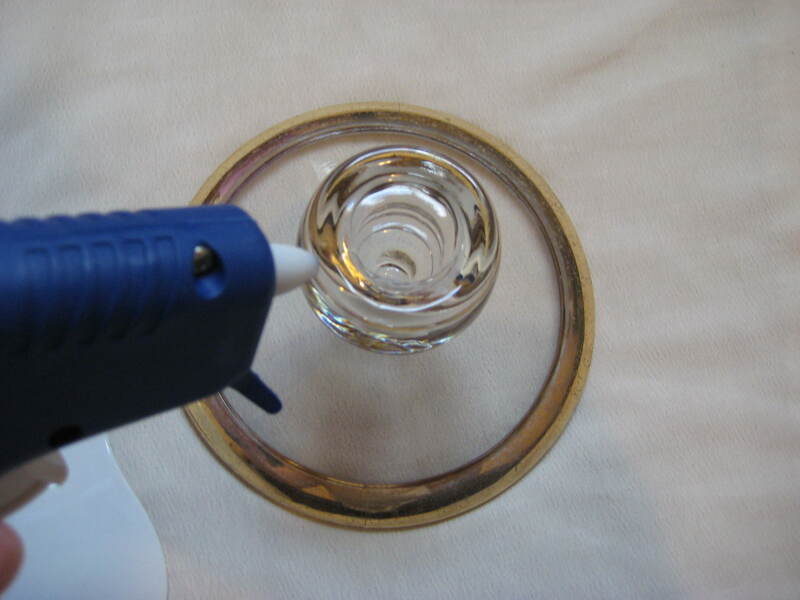 Make sure you do this step quickly, as the glue will set faster on cold surfaces. Step 6: Firmly press base onto center of plate. Hold it down for about 30 seconds, until you are sure the glue has dried. 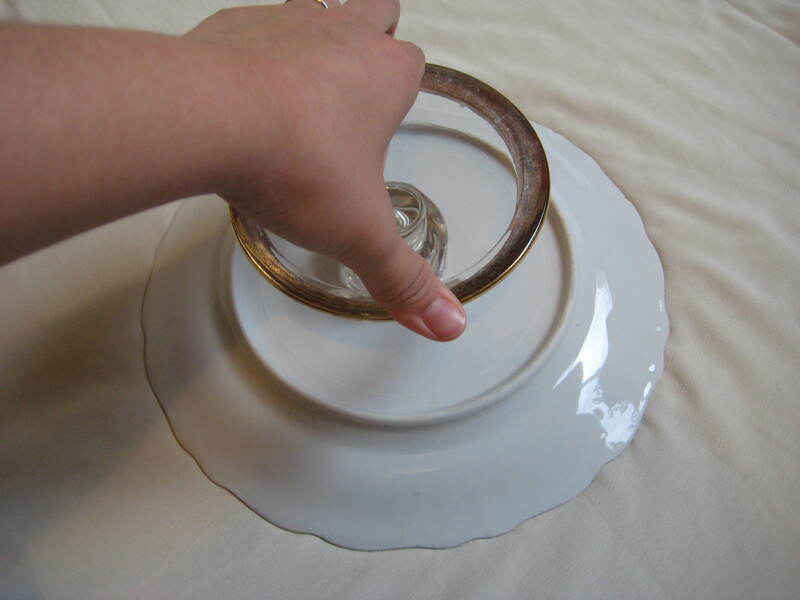 Let the plate sit upside down for a few minutes until the glue is set completely. Ehh? Ehhhh? Just let your creative juices flow, have fun with it, and happy crafting!